Southern Village - Walk to schools, shops and park. MLS#2248567. 238. The Preserve At Jordan Lake - Davis Love course, clubhouse, pool, & tennis. Visit: www.preserveatjordanlake.com/community/ MLS#2248527. 4542. Culbreth Park - Parks and trails nearby. Chapel Hill schools. MLS#2248541. 649. Located in the sought-after Morgan Creek neighborhood with great schools and easy commute to UNC, downtown Chapel Hill & beyond. MLS#2248280. 81. Franklin Hills - Custom-designed deck entrances with raised beds, gazebo, privacy fence, slate walkway & patio, sunken living room, large windows, 2 fireplaces, skylights, great storage, and many custom built features throughout. MLS#2247417. 4310. Englewood - Gorgeous house with bright open floor plan in most desired Chapel Hill neighborhood, 2 story foyer, Vaulted ceiling, Office with bay window, Dining room detailed w/molding, wainscoting & tray ceiling, Huge master suite with sitting area on main level, Large kitchen open to sunroom and breakfast area, , Plantation Shutters, Wall of windows, Custom landscaping, Flat lot, 2019 new roof, 2018 main level new HVAC, Best schools, Minutes to Duke, UNC, Research Triangle Park & I-40 MLS#2248441. 683. Northwood - Easy care siding and brick front. MLS#2248243. 64. 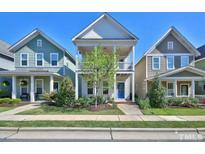 Briar Chapel - All in the most sought after new community in the Triangle. MLS#2248120. 2784. Short walk to shopping, restaurants & pool/tennis/playgrounds. MLS#2248117. 81. 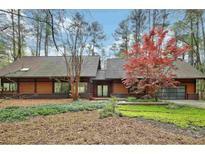 Colony Woods - Showings begin 4/13/19 after 10:00 am. MLS#2241506. 2754. 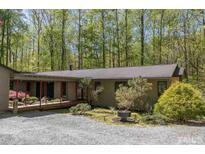 Collins Creek - Wonderful Screen Porch and Deck to Enjoy Nature & More! MLS#2248218. 64. North Hill - A 12'x51' private back deck for entertaining. Minutes from I-40. MLS#2247916. 4167. Southbridge Estates - Only minutes to UNC, Duke, RTP. Features List in Docs MLS#2248028. 29. Refinished floors, new carpet, new hardware new LED lights & fresh paint inside & out. MLS#2248053. 64. You'll feel like you're in a mountain getaway but with Downtown Chapel Hill, shopping and restaurants right around the corner. MLS#2246631. 64. Culbreth Ridge - 2 miles to UNC. Home warranty. MLS#2247914. 81. Have your first showing with the 3D virtual tour. 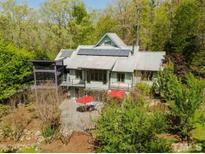 MLS#2247962. 81. 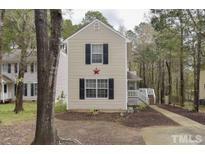 Convenient to I-40, RTP, shopping, Duke & UNC, must see! MLS#2247807. 1710. 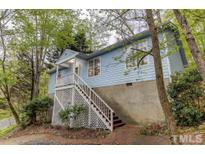 Located in a convenient Chapel Hill location 10 minutes from Hillsborough & UNC & 15 minutes from Durham. MLS#2248073. 350. Briar Chapel - One of the rare homes in BC with a finished walkout bsmnt that includes a guest suite w/an ensuite and expansive walk-in storage. MLS#2248090. 2611. Briar Chapel - Enjoy your meals or a cup of coffee on the generous screened porch, which has enough room for dining and separate seating! MLS#2247424. 81.